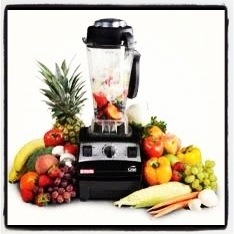 It has been over 2 years now since we began drinking healthy vegetable or fruit smoothies. I would like to call my drink a smoothie because I am blending the whole fruit into a thick drink as opposed to juicing, where only the juice is extracted from the fruit or vegetable. 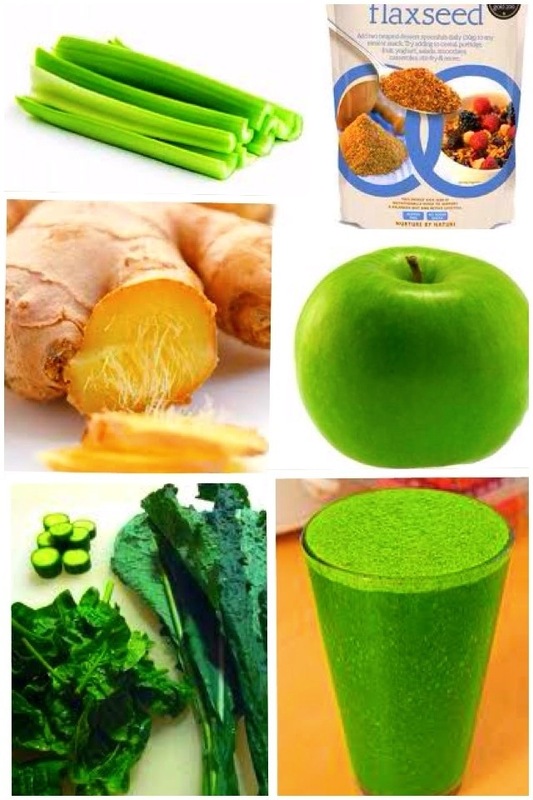 When we began having these healthy drinks, DH and I initially began with juicing. 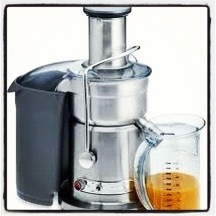 We bought the ‘juicer’ to begin with. To start this off, we bought organic fruits and vegetables. The juice tasted really good and it did feel refreshing and healthy. Although it gave us some advantage, there were added disadvantages too! First of all the size of the juicer. It was too bulky and needed a lot of cleaning after. Secondly, a lot of fruit and vegetables were needed to extract the juice. Finally, it was heartbreaking to watch all the good fibre been thrown into pulp collector. When all we needed was a blend of both. It was time to give the juicer a boot! During a normal conversation with my Aunt, I mentioned to her that we were juicing and how all the fiber is being wasted. This was when my aunt suggested me to buy the wonderful ‘Vitamix’ instead. She bought it for me as a special present and oh boy! It is definitely special. Ever since, we have been using the vitamix everyday without fail. What’s best is you get the whole fibre and vitamins which keeps you full for longer, promotes healthy digestion and gives your body nothing but the best! I do put the Vitamix to a lot of use. I do use it to make other drinks and soups, however, my favourite two drinks are the red and green smoothie. I like giving my drinks a name so I call my Berry smoothie the ‘red smoothie’. 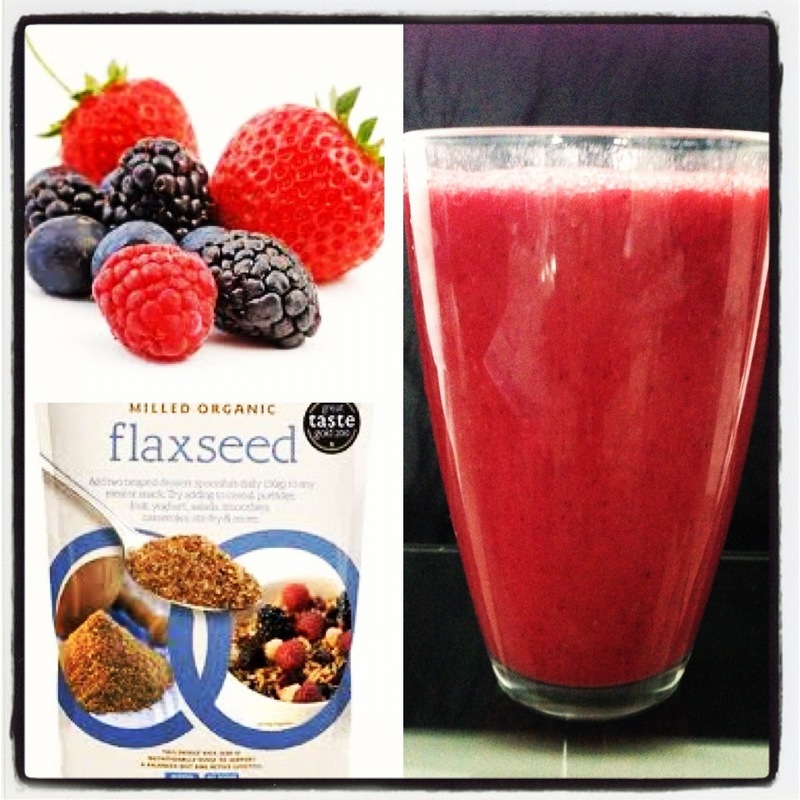 -I never fail to add a teaspoon full of flax seeds to it. -a teaspoon full of flax seeds. -These smoothies are loaded with fiber, which keeps me full for longer. -Increased consumption of fruit and vegetables. -They have high antioxidant properties and they protect the body agains inflammation and free radicals and prevent cancer cells. -I sometimes drink this before or after I head in and out to the gym, so it defiantly increases my energy and restores the body fluid. -Always drink fruit and vegetable juice/smoothies on an empty stomach as this helps in better nutrition absorption. – Fruits and vegetables ferment fast. So I usually never juice and preserve it. I consume as soon as I blend it. Even if you want to preserve it, then do make sure that it is preserved in a air tight container. Venkat would luv this. Will defenitely try ur recipes! gud one kav, i will try this……….